`The most dazzling, most unsettling, most oh-my-God-listen-up novel you'll read this year' The Washington Post A dark and socially provocative Southern-fried comedy about four UC Berkeley students who stage a dramatic protest during a Civil War reenactment - a fierce, funny, tragic work from a bold new writer LONGLISTED FOR THE NATIONAL BOOK AWARD FOR FICTION 2015LONGLISTED FOR THE ANDREW CARNEGIE MEDAL FOR EXCELLENCE IN FICTION 2015 Born and raised in the heart of old Dixie, D'aron Davenport is a small-town fish floundering in the depths of a large, hyper-liberal pond of UC Berkeley. Everything changes in his American History class, when D'aron lets slip that his hometown hosts an annual Civil War re-enactment. His announcement is met with righteous indignation, and inspires a `performative intervention'. Armed with youthful self-importance, makeshift slave costumes, righteous zeal and their own misguided ideas about the South, D'aron and his three idiosyncratic best friends descend on Braggsville. 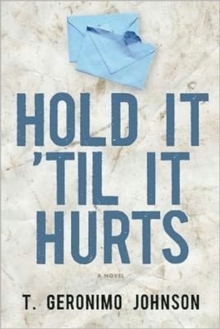 Their journey through backwoods churches, backroom politics, Waffle Houses and drunken family barbecues is uproarious to start, but will have devastating consequences. 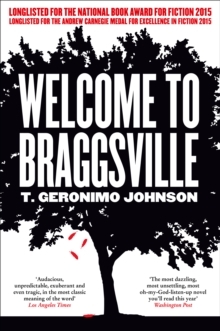 A literary coming-of-age novel for a new generation, written with keen wit, tremendous social insight and a unique, generous heart, Welcome to Braggsville reminds us of the promise and perils of youthful exuberance, while painting an indelible portrait of contemporary America.